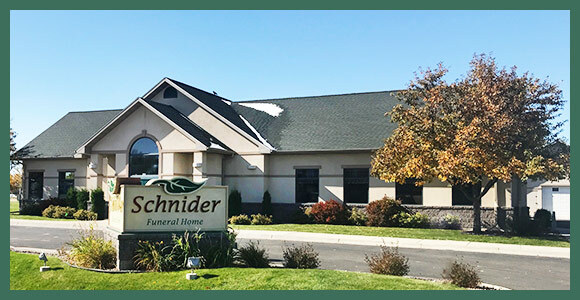 Schnider Funeral Home was built in 2001 as a dream of Steve and Carla Schnider. After working in funeral homes owned by large corporations, Steve wanted to offer the Great Falls community a smaller, personalized funeral home, where families’ wishes come first. At Schnider Funeral Home our passion and love for funeral service, help us provide exceptional care to each family we are privileged to serve. This is where our inspiration comes from. We are committed to building your trust by our professionalism and the attention we give to the smallest details. We pride ourselves on the quality of our service and our dedication to the community. We are available 24 hours a day to answer your questions and assist you in any way possible.